On Monday, the Supreme Court made its decision on Whole Woman's Health v. Hellerstedt, aka the most significant abortion rights case in more than 20 years. SCOTUS sided with pro-choice advocates when it shut down Texas House Bill 2 (HB2), which placed harsh restrictions on abortion clinics. The bill's restrictive regulations included meeting the same standards as ambulatory surgical centers and making sure doctors have admitting privileges at a hospital within 30 miles of the facility. Pro-choice activists have been arguing that these restrictions were unnecessary due to the fact that since this bill was passed in 2013, more than half of the over 40 Texas clinics have closed. Today's Supreme Court ruling is an historic confirmation of a woman's right to make her own decisions about her health, her family, and her future. Politicians can no longer use ideologically driven laws with no medical basis to threaten women's health by restricting access to safe, legal abortion care. Our physicians are profoundly committed to women's health and well-being, and know better than anyone the true consequences of unduly restrictive abortion regulations: women across the country, and especially in the South where I have seen it firsthand, are losing the ability to make private health care decisions because states have passed hundreds of laws preventing safe and legal abortion access. This ruling affirms that a woman's right to dignified and compassionate abortion care should not depend on where she lives or on the interference of politicians. Every woman should be free to make medical decisions based on her doctor's advice and what is right for herself and her family. The battle to protect abortion access is not over. We will continue to fight to ensure that our physicians can fulfill their deep, conscientious commitment to providing all women who need it — in Texas and across the country — with dignified, compassionate, and appropriate reproductive health care. However, certainly not everyone considers this decision as a victory for women's rights. Many pro-life activists are tweeting their anger about the decision, as well as their anger toward Hillary Clinton and gun control. What's concerning is how a women's health issue is being compared to murder, while also promoting the ownership of guns in the process. 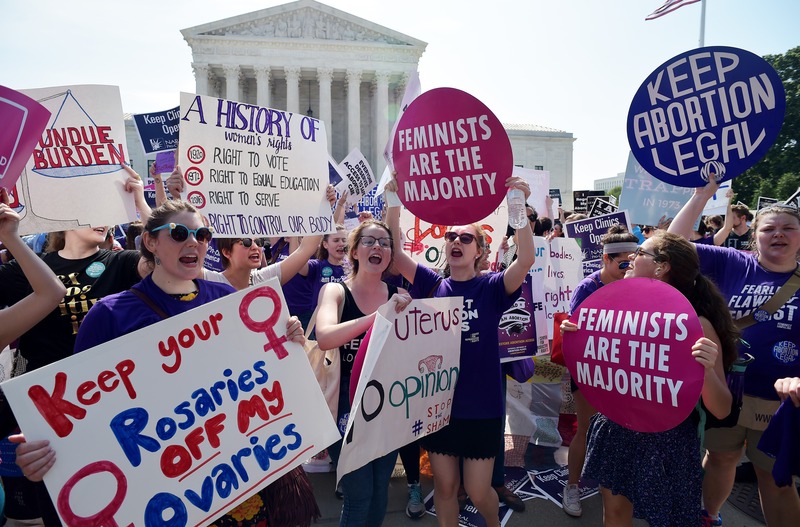 These responses are a reminder that even though this is a step in the right direction for women's rights, the battle to protect abortion access and a woman's right to choose is still far from over.